Infinity Fuel Cell and Hydrogen Inc., a company focused on fuel cell technology, is set to receive funding from NASA’s Glenn Research Center. The funding will help the company continue its research and development on new fuel cell technology, which could have possible applications in space. New fuel cells developed by Infinity could be used as part of NASA’s Space Launch Systems vehicle, building upon a longstanding trend of NASA using fuel cell technology for propulsion and energy purposes. NASA has long made use of fuel cell technology for various reasons. These energy systems have been used to generate electricity for satellites and space capsules within orbit around the earth. 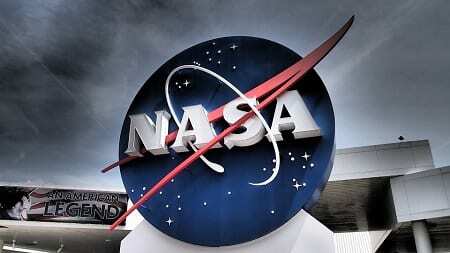 NASA has been quick to praise fuel cell technology because of its efficiency and ability to generate large volumes of electrical power without also producing harmful emissions. This has made the energy systems ideal for use in orbit. Now, NASA is looking to further its use of fuel cell technology, hoping that Infinity will aid in this endeavor. According to Infinity, the company has received $124,469 in funding from NASA so far this year. This funding will help the company continue its research and development on new fuel cell technology, most notably its “no-flow-through fuel cell” equipment. Infinity notes that such technology is becoming increasingly important for space vehicles, as their need for energy is growing and efficiency with energy systems is of vital necessity. Fuel cell technology has already proven itself capable in space and Infinity hopes to build upon the foundation these energy systems have already established. Beyond applications in orbit, fuel cell technology has entered the transportation space at large. These energy systems are being used to power a wide variety of terrestrial vehicles, ensuring that these vehicles do not produce harmful emissions. In the coming years, major automakers are expected to launch many new fuel cell vehicles into the market. The success of these vehicles will largely be based on their cost and how easily consumers can access hydrogen fuel.